US SIGHTINGS: Big cat in Paulding County? Bigfoot Caught Watching Kids Play? 3. why would a bigfoot just stand there waiting for them to shine their lights? makes zero sense. (not that you can even see anything in the video). Bigfoot's foot, hand & head caught on tape? ATTEMPTED THEFT OF BIGFOOT STATUE? 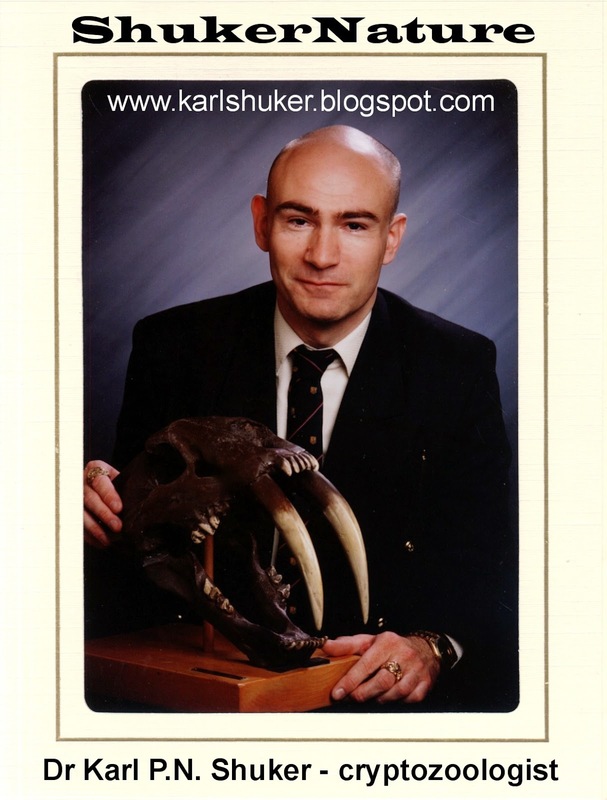 KARL SHUKER: The Mpisimbi - A Vanished East African King Cheetah? Karl Shuker investigates whether the mysterious mpisimbi might have been a now-vanished East African equivalent of southern Africa's king cheetah. The latest issue of Gonzo Weekly (#88) is available to read or download at www.gonzoweekly.com. It has Joey Molland, the last man standing of the mighty Badfinger on the front cover and an interview with him inside. It also includes an exclusive interview with the author of a new biography of The Waterboys, with an exclusive extract from the book. Yes fans will find a critique of the new album and a rundown of the extraordinary events that took place yesterday as Jon Anderson launched his new band. Elsewhere in the issue Doug Harr interviews the founding members of Brand X and Galahad release the cover art for their forthcoming EP. There are also new shows from the wonderfully eccentric Jaki and Tim on their Submarine, and from the multi-talented Neil Nixon at Strange Fruit and from M Destiny (hopefully fully recovered from his recent illness) a collection of more news, reviews, views, interviews and mysterious clues (OK, no peculiar objects left by malefactors, but I got carried away with things that rhymed with OOOOS) than you can shake a stick at. And the best part is IT's ABSOLUTELY FREE!!! Slavery was outlawed in the British empire with an emancipation bill.